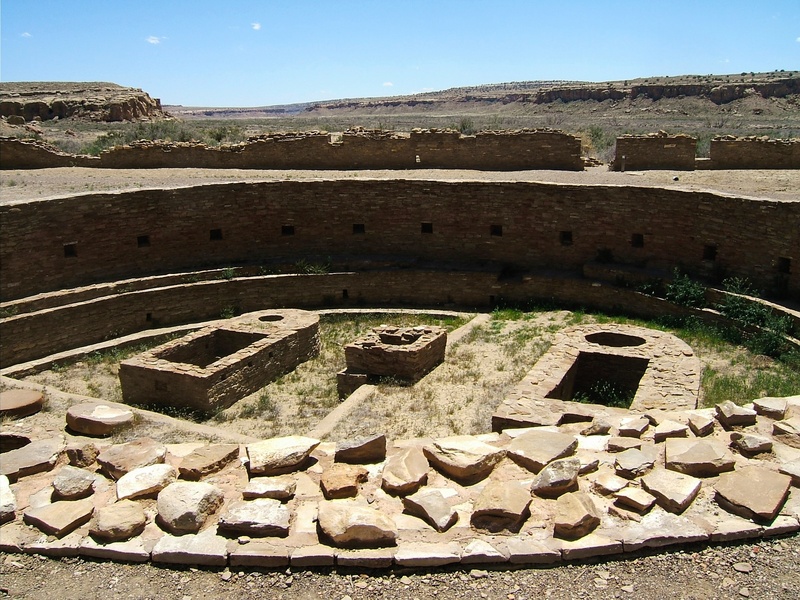 1000 years ago, the people of Chaco Canyon created a thriving community in what is now the New Mexico desert where weather extremes must have made life a challenge. They built multi-storied buildings of stone, the remnants of which, remain today. 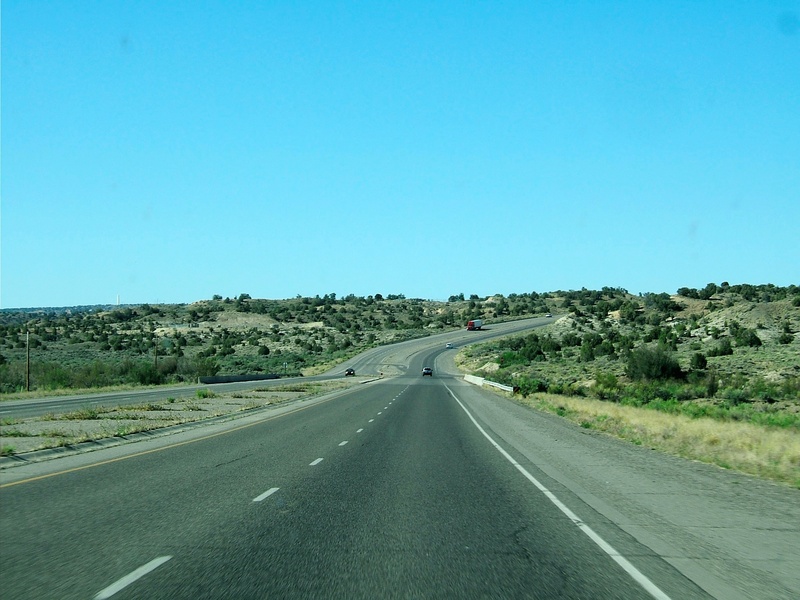 The road from Durango to Chaco Canyon, It looked like this for most of the two hour drive. Towns are few and far between. The road into Chaco is long. The paved highway that led us south from Durango was a two hour drive nearly void of hotels and fast food. 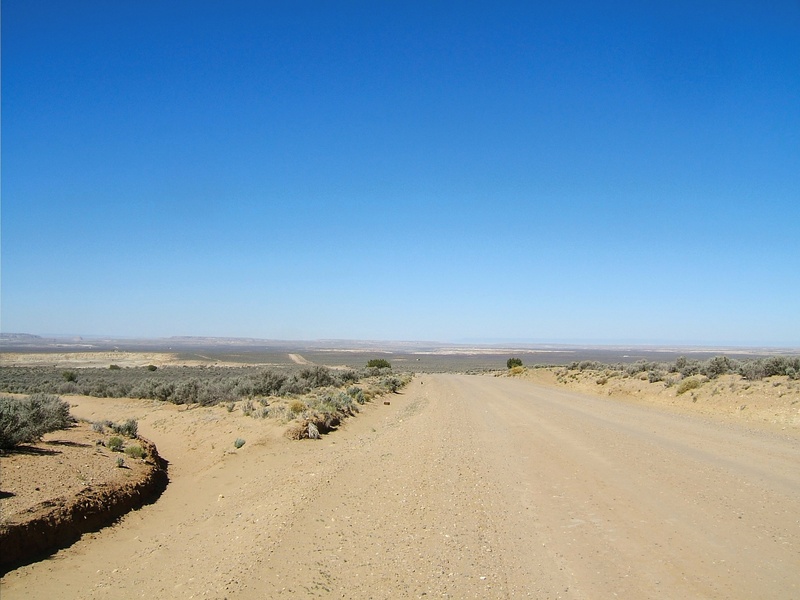 The highway was followed by a very long and dusty dirt road. We planned on spending the entire day at Chaco knowing it wouldn’t be worth the drive if we didn’t. I understand that they are now paving the road into the Park. I’m rather disappointed about this. The difficulty in accessing the site was one of the things that made it such an adventure. It made visiting the site — I don’t know — sort of special. 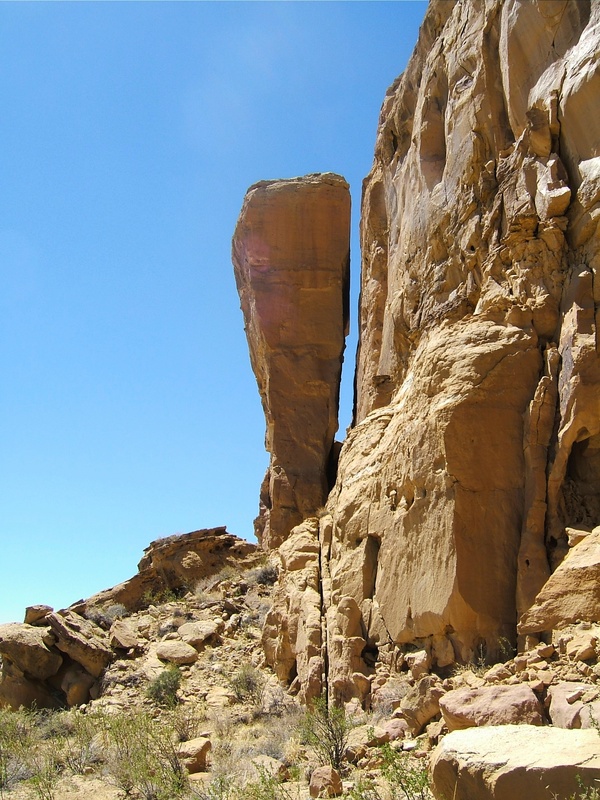 It has been the difficulty in getting there, plus the fact that it’s so far away from other tourist destinations that have left Chaco unspoiled. Only a limited number of travelers have ever been willing to spend the time and brave the road. Some things should require more effort. The road into Chaco Canyon before the pavement. For those interested in ancient cultures Chaco Canyon is the creme de la creme. The ruins are just as exciting as Mesa Verde’s. Unlike Mesa Verde though, there were not hoards of tourists fighting to get in. So few tourists were there in fact, that we had most of the ruins to ourselves for most of the day. Our first stop in the park, after the visitor’s center, was Hungo Pavi. It is not the biggest site at Chaco but for me, it was the most fascinating. Probably because it was the first it is the one I remember as leaving me speechless. It’s a short walk to Hungo Pavi. We walked past the long walls and I couldn’t help but wonder about the people who had cut and stacked the stones. What was life like here? Looking out across the lonely desert it was hard to imagine that 1000 years ago this was a ceremonial, administrative, and economic center, filled with people and with roads connecting 150 of these great houses. 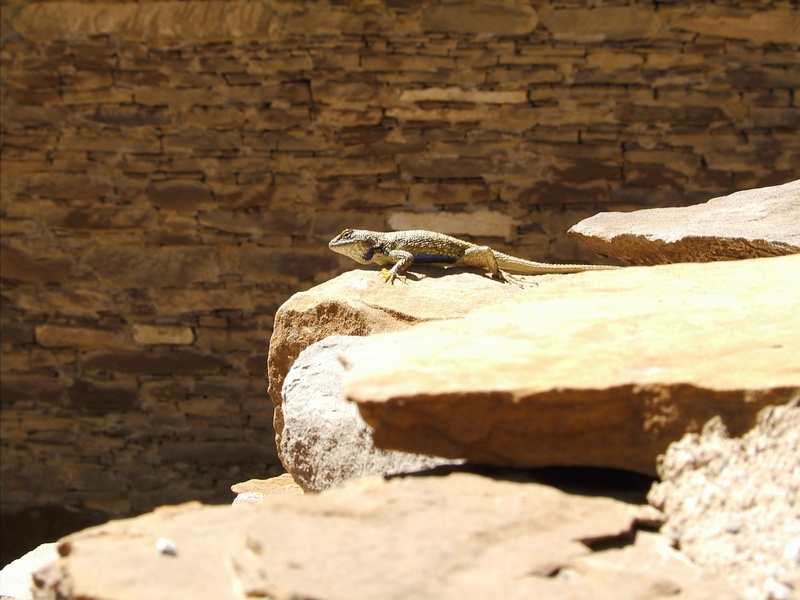 Once a thriving city, Chaco’s great houses are now homes for desert creatures. 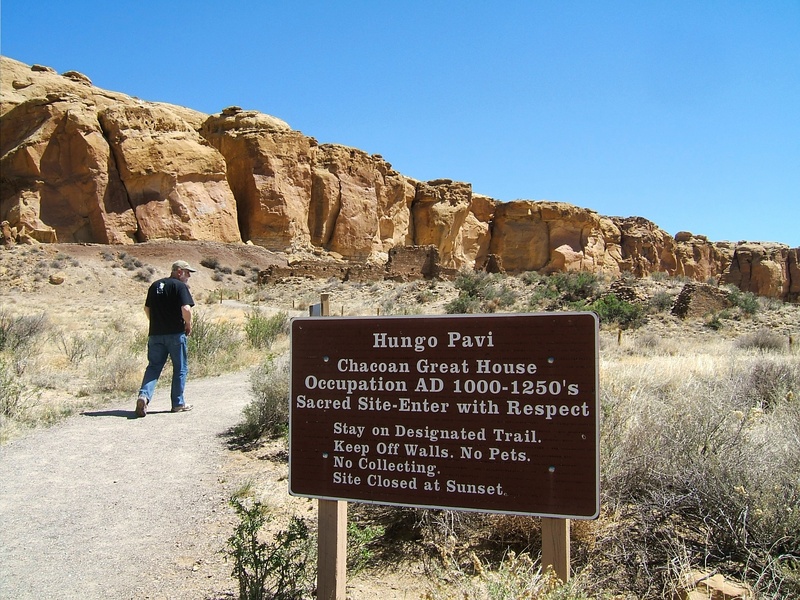 Sporting no cafeterias or restaurant service, you must take your own food and water to Chaco. We sat in the front seat of our car where the car roof provided the only shade in sight, and made peanut butter sandwiches from our food stash in the back seat. We ate cold, ripe peaches from our cooler and drank lemonade with the car doors open wide to catch whatever breeze there might be. There wasn’t any. You need to take in your own food and water and you need to take in your own sunscreen, and lots of it! We were joining a ranger tour after lunch at Pueblo Bonito, the largest and most impressive of the great houses. 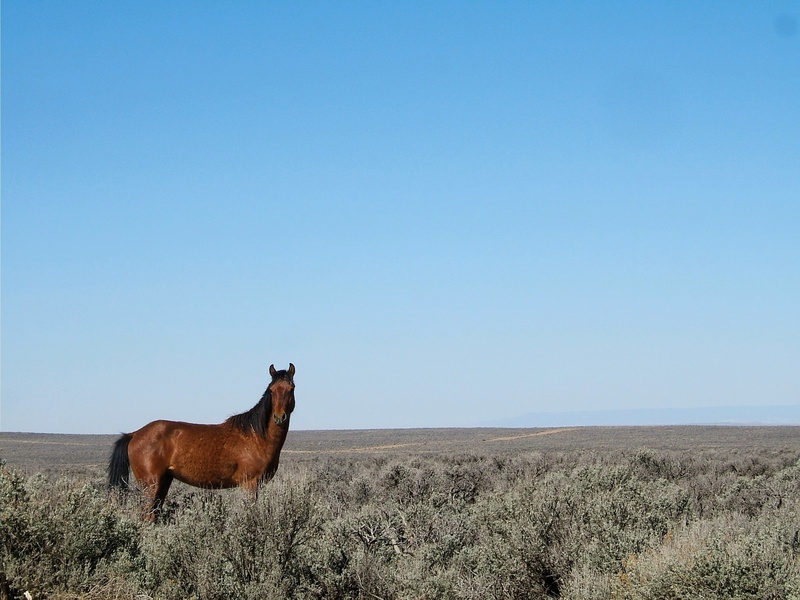 We love these free tours led by National Parks rangers and try to join them whereever we are. This tour had attracted quite a lot of people — about 15 — which surprised me because I hadn’t seen 15 people in all of the park all morning. Everyone in the park that day seemed to want the ranger tour. Even our ranger was surprised by the turnout. The day before he’d come to give the daily tour to find no one at all. Under the mid-day sun, it was scorching hot and we did our best to stay on the shady side of the pueblo walls. All through the tour, I watched a young man staring at Doc. Afterwards as we were wandering in and out through the many pueblo rooms, he came up and introduced himself. He was a geology student from a western school who had attended a college conference Doc had hosted a few years back! He had recognized the old conference t-shirt Doc was wearing as the same one he had at home. The Ohio conference where Doc and the student had originally met was not a large one and to meet someone who had attended it, in a tiny group of 15 people, in out-of-the-way Chaco Canyon of all places, was remarkable. 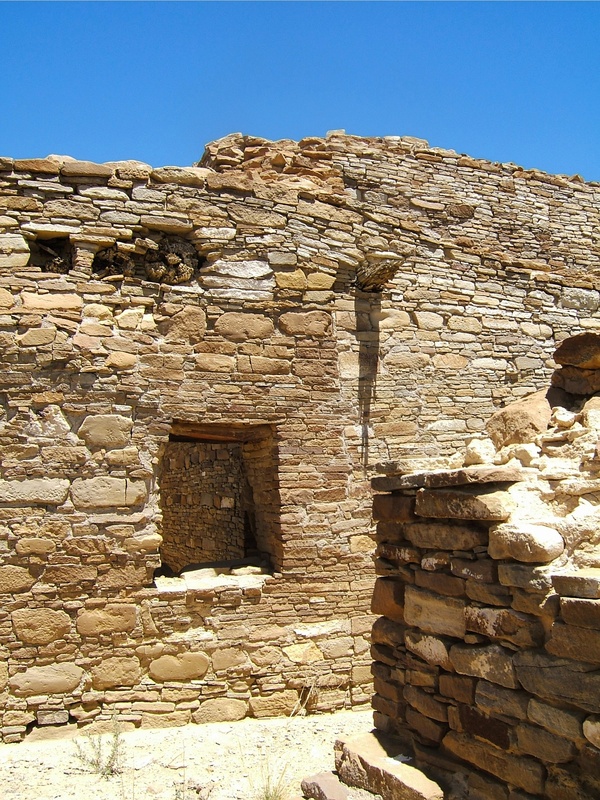 i Pueblo Bonito –very much in tact 1000 years later. The grave of Richard Wetherhill is nearby. Wetherill, an explorer of the Four Corners area in the 19th century is a controversial figure due to his “collecting” of artifacts from cliff dwellings and great houses throughout the region. Wetherill sent his finds to museums, however, he often failed to include necessary paperwork for the items he was sending and much of the information about where pieces were found has been lost. Chaco Canyon is one of the most beautiful and interesting places I’ve ever witnessed. It will eat an entire day out of your vacation but if you’re a history buff, this is one of the most important not-to-be-missed sites in all of the U.S. 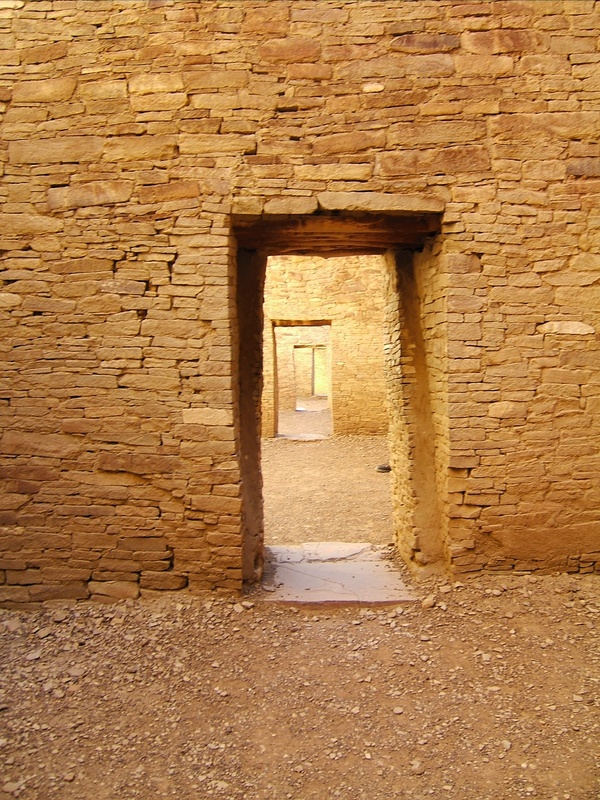 If you’re a fan of mystery novels, I would recommend reading Tony Hillerman’s “Thief of Time” before a visit to Chaco. 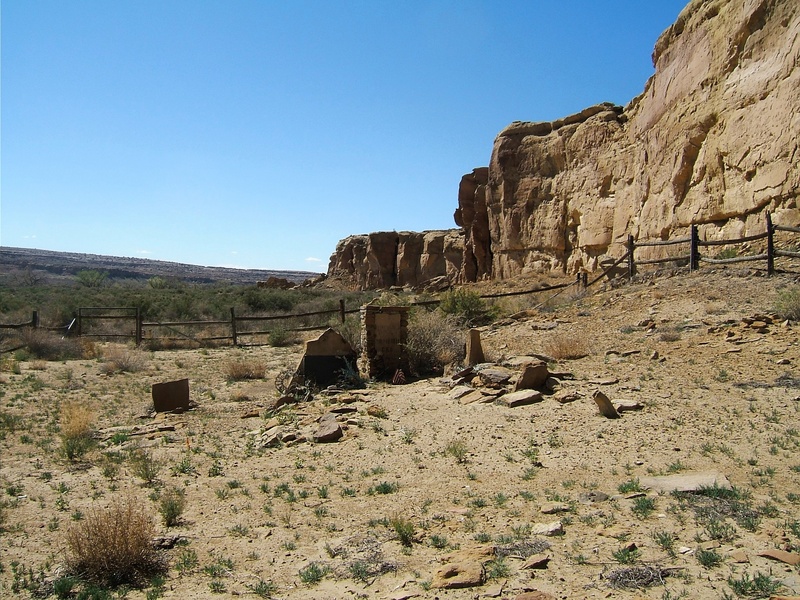 The exciting whodunnit is set at Chaco and in the surrounding Four Corners area where Navajo policemen Joe Leaphorn and Jim Chee must solve the disappearance of a Chaco Canyon anthropologist. Pueblo Bonita built to take advantage of summer breezes. Doors were built in line to make it easy for air to flow.